Standing in between one of America’s most strenuous leadership transitions, understanding how to grow through intellectual, diverse and political upheaval is necessary when becoming a leader. Students venturing into the modern workplace have many marks to hit when crafting a good personal “brand.” The concept of marketing oneself has evolved in recent years to mean everything from body language during an interview to carefully organizing a personal Facebook page. There are those who sit on the bench and watch their team go up and down the court. They dream of the day when the coach decides to put them in during the last two minutes and they hit the game-winning buzzer. The city of Grand Rapids, Michigan came to a halt on the evening of Thursday, Nov. 10 as more than 2,000 protesters took over the streets, marching in opposition to the election of Donald Trump as president of the U.S. While in college, there are many things that students can learn about outside of their academic classes, including issues that affect the world. 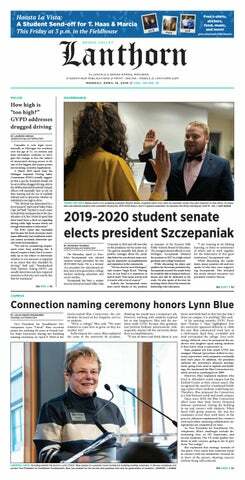 The Community Service Learning Center at Grand Valley State University decided to target some of those issues through monthly discussion forums. The topic for November focuses on hunger and homelessness. Grand Valley State University, along with Grand Rapids Public Schools and Kent Intermediate School District has, after two years in the making, brought Grand Rapids’ first annual Share Fair and STEMosphere to Michigan teachers. Focusing on charitable efforts and volunteering, Grand Valley State University’s Dorothy A. Johnson Center for Philanthropy is partnering with several nonprofits as part of the GRgives movement. The implementation of Grand Rapids' largest ever bicycle safety campaign, coupled with the creation of local ordinances, has significantly reduced the number of bicyclist-motorist crashes and serious injuries this year, per a media release from the city of Grand Rapids. Grand Valley State University has recently been added to the list of the President's Higher Education Community Service Honor Roll for its commitment to promoting exceptional community service.